The recent news that the Vatican’s medical commission has confirmed a miracle to the intercession of the Venerable Fulton Sheen is something to should give us great joy, and more, great hope. His beatification could be very near indeed. If ever there was a natural patron saint for the new media, it would be him. The first televangelist, he taught millions across the world the truths of the faith and of Christian living in a style that was accessible and engaging. He used the new media of television and (earlier) radio to reach an audience far greater than any Catholic preacher or teacher had reached before in such a relatively immediate way. He also raised millions of dollars for the missions. Of course he presents challenges to some modern Catholics, who might object to his unashamed wearing of his episcopal vesture on television, or suspect him of enjoying his celebrity (of which some in fact did accuse him). Perhaps there was a dash of vanity in him. But canonization does not recognize perfection, for none such is possible for any of us. It does recognize heroic struggle in the quest for holiness. 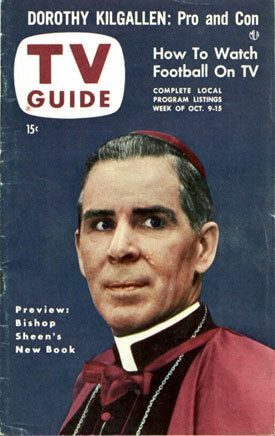 For Archbishop Sheen this involved using his considerable gifts for the benefit of the missions and of the wider Church. He deployed his gifts to maximum effect, and did not pretend that he did not have such gifts, nor did he downplay them. He offered them unreservedly in service of the Body of Christ. In this he comes closer to authentic humility than some might allow him. Humility is to know the truth about oneself and to live by it. Sheen spent an hour every day alone before the Blessed Sacrament in prayer. Here he heard from the Master the truth about himself, and the call to act on that truth. We have moved far beyond television now, with a whole world of communication beyond Sheen’s conception able to fit into our pockets. Nevertheless if were active today he would have embraced the new media with gusto. Sheen showed how progress could serve Tradition and Truth in any age. So to talk about the liturgy of the Mass, the highs and lows of its post-conciliar reform and the urgent need for its re-invigoration today, it is necessary that we return to basics. What happens at Mass? What is it for? What is its essential nature? Only with accurate answers to these questions can we approach the problem of liturgical reform. As a contribution to this project, let me offer you some words of wisdom from the Venerable Fulton Sheen. 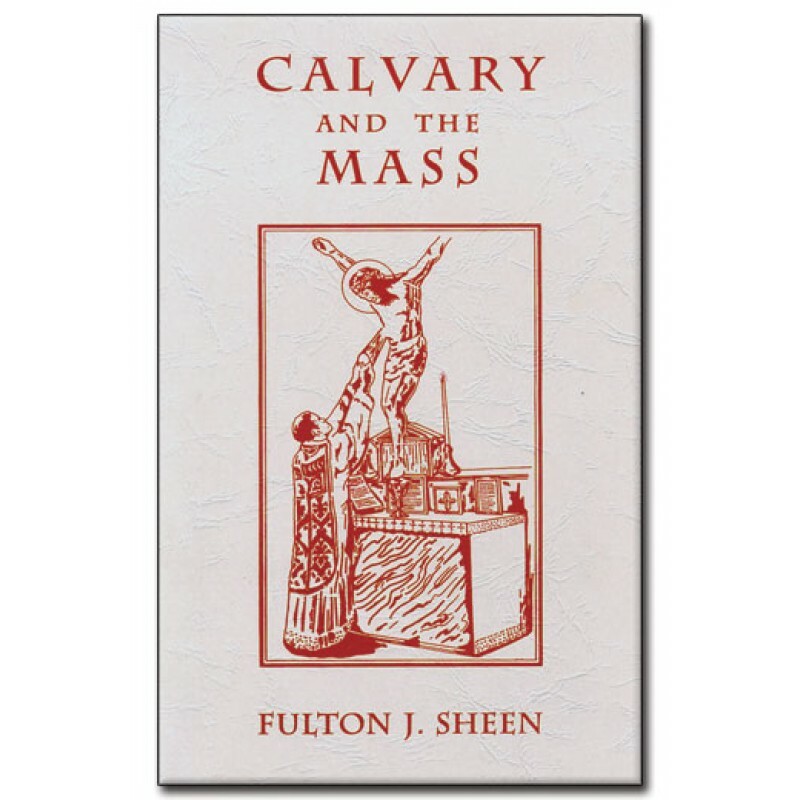 In particular, it is the Prologue to his too-short but wonderful book, Calvary and the Mass (1936). It may seem a little long on a webpage like this, but it is so readable that you will fly through it. Indeed, try not to fly through it but absorb it. Consider it is an exercise in lectio divina, or meditative reading. To aid this some pregnant phrases or passages will be highlighted in bold, as an invitation to drink more deeply of them in particular. Truly there is full-blown book condensed into this Prologue. Dear Reader, tolle, lege. And after reading it ask yourself these two questions with a view to liturgical reform: which is more crucial to the Mass – meal or sacrifice? ; and, what is it then to participate authentically in the Mass? THERE are certain things in life which are too beautiful to be forgotten, such as the love of a mother. Hence we treasure her picture. The love of soldiers who sacrificed themselves for their country is likewise too beautiful to be forgotten, hence we revere their memory on Memorial Day. But the greatest blessing which ever came to this earth was the visitation of the Son of God in the form and habit of man. 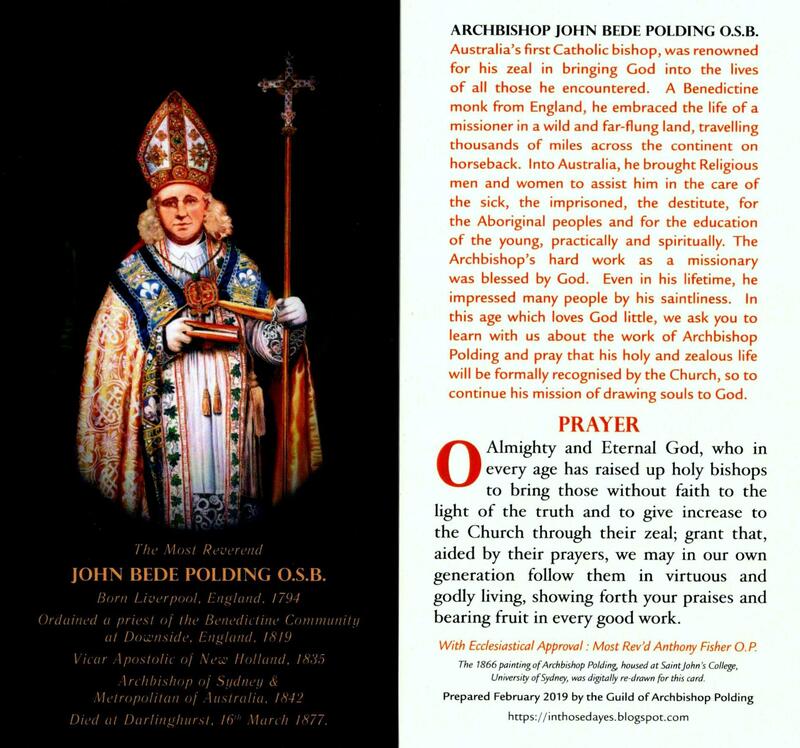 His life, above all lives, is too beautiful to be forgotten, hence we treasure the divinity of His Words in Sacred Scripture, and the charity of His Deeds in our daily actions. Unfortunately this is all some souls remember, namely His Words and His Deeds; important as these are, they are not the greatest characteristic of the Divine Saviour. The most sublime act in the history of Christ was His Death. Death is always important for it seals a destiny. Any dying man is a scene. Any dying scene is a sacred place. That is why the great literature of the past which has touched on the emotions surrounding death has never passed out of date. But of all deaths in the record of man, none was more important than the Death of Christ. Everyone else who was ever born into the world, came into it to live; our Lord came into it to die. Death was a stumbling block to the life of Socrates, but it was the crown to the life of Christ. He Himself told us that He came “to give his life a redemption for many”; that no one could take away His Life; but He would lay it down of Himself. The following day that which He had prefigured and foreshadowed, He realized in its completeness, as He was crucified between two thieves and His Blood drained from His Body for the redemption of the world. The Church which Christ founded has not only preserved the Word He spoke, and the wonders He wrought; it has also taken Him seriously when He said: “Do this for a commemoration of me.” And that action whereby we re-enact His Death on the Cross is the Sacrifice of the Mass, in which we do as a memorial what He did at the Last Supper as the prefiguration of His Passion. Hence the Mass is to us the crowning act of Christian worship. A pulpit in which the words of our Lord are repeated does not unite us to Him; a choir in which sweet sentiments are sung brings us no closer to His Cross than to His garments. A temple without an altar of sacrifice is non-existent among primitive peoples, and is meaningless among Christians. And so in the Catholic Church the altar, and not the pulpit or the choir or the organ, is the center of worship, for there is re-enacted the memorial of His Passion. Its value does not depend on him who says it, or on him who hears it; it depends on Him who is the One High Priest and Victim, Jesus Christ our Lord. With Him we are united, in spite of our nothingness; in a certain sense, we lose our individuality for the time being; we unite our intellect and our will, our heart and our soul, our body and our blood, so intimately with Christ, that the Heavenly Father sees not so much us with our imperfection, but rather sees us in Him, the Beloved Son in whom He is well pleased. The Mass is for that reason the greatest event in the history of mankind; the only Holy Act which keeps the wrath of God from a sinful world, because it holds the Cross between heaven and earth, thus renewing that decisive moment when our sad and tragic humanity journeyed suddenly forth to the fullness of supernatural life. What is important at this point is that we take the proper mental attitude toward the Mass, and remember this important fact, that the Sacrifice of the Cross is not something which happened nineteen hundred years ago. It is still happening. It is not something past like the signing of the Declaration of Independence; it is an abiding drama on which the curtain has not yet rung down. Let it not be believed that it happened a long time ago, and therefore no more concerns us than anything else in the past. Calvary belongs to all times and to all places. That is why, when our Blessed Lord ascended the heights of Calvary, He was fittingly stripped of His garments: He would save the world without the trappings of a passing world. His garments belonged to time, for they localized Him, and fixed Him as a dweller in Galilee. Now that He was shorn of them and utterly dispossessed of earthly things, He belonged not to Galilee, not to a Roman province, but to the world. He became the universal poor man of the world, belonging to no one people, but to all men. We were there then during that Crucifixion. The drama was already completed as far as the vision of Christ was concerned, but it had not yet been unfolded to all men and all places and all times. If a motion picture reel, for example, were conscious of itself, it would know the drama from beginning to end, but the spectators in the theater would not know it until they had seen it unrolled upon the screen. In like manner, our Lord on the Cross saw His eternal mind, the whole drama of history, the story of each individual soul, and how later on it would react to His Crucifixion; but though He saw all, we could not know how we would react to the Cross until we were unrolled upon the screen of time. We were not conscious of being present there on Calvary that day, but He was conscious of our presence. Today we know the role we played in the theater of Calvary, by the way we live and act now in the theater of the twentieth century. That is why Calvary is actual; why the Cross is the Crisis; why in a certain sense the scars are still open; why Pain still stands deified, and why blood like falling stars is still dropping upon our souls. There is no escaping the Cross not even by denying it as the Pharisees did; not even by selling Christ as Judas did; not even by crucifying Him as the executioners did. We all see it, either to embrace it in salvation, or to fly from it into misery. But how is it made visible? Where shall we find Calvary perpetuated? We shall find Calvary renewed, re-enacted, re-presented, as we have seen, in the Mass. Calvary is one with the Mass, and the Mass is one with Calvary, for in both there is the same Priest and Victim. The Seven Last Words are like the seven parts of the Mass. And just as there are seven notes in music admitting an infinite variety of harmonies and combinations, so too on the Cross there are seven divine notes, which the dying Christ rang down the centuries, all of which combine to form the beautiful harmony of the world’s redemption. Each word is a part of the Mass. The First Word, “Forgive,” is the Confiteor; the Second Word, “This Day in Paradise,” is the Offertory; the Third Word, “Behold Thy Mother,” is the Sanctus; the Fourth Word, “Why hast Thou abandoned Me,” is the Consecration; the Fifth Word, “I thirst,” is the Communion; the Sixth Word, “It is finished,” is the Ite, Missa Est; the Seventh Word, “Father, into Thy Hands,” is the Last Gospel. Previous Post Happy feast day to us! Next Post Is this the face of collegiality? The altar! Exactly! This is why the post VII abolition of the High Altar, the setting up of a table in its place, and the turning round of the priest to face and ‘dialogue with’ the congregation – all measures unbidden by any of the Council’s documents or deliberations – were and are a gross betrayal of the Mass – a theological subversion. In 1969 educated English Catholics knew that in 16c post-Henrician England these avowedly protestant innovations were intended to effect a breach of memory with the past: a rupture, a brutal repudiation of the Sacrifice of the Mass and Catholic devotions. Catholics of the 1570s were as saddened and scandalized by these physical changes as by the vernacularization and desacralization of the liturgy. I must get that Mohrmann book! I only wish her four volumes of ‘Études sur le latin des chrétiens’ were as easy to obtain. They aren’t even kept at the British Library. A great and courageous scholar. She surely rates a commentary and biography. (I don’t think there’s even a proper bibliography.) 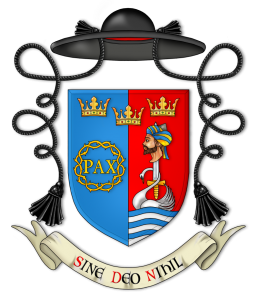 She lost her university post in Utrecht when she refused to take the Oath of Loyalty demanded by the German occupying forces, and used her time of unemployment during WWII to write her (Dutch) edition of the works of Tertullian.